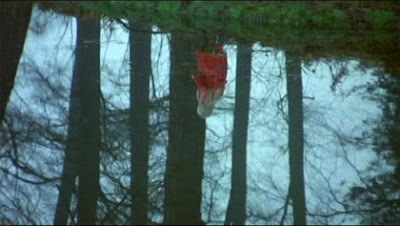 And no, I don't mean the wonderful 1973 paranormal thriller directed by Nicolas Roeg and starring Donald Sutherland and Julie Christie that was just named the number one British film of all time in the list of the 100 Best British Films compiled by Time Out London and a panel of industry experts. I mean, don't look now! 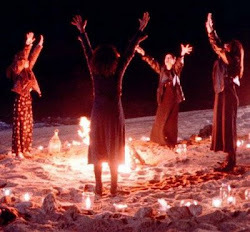 Just when you thought maybe there had been enough films dealing with the Church and the occult to hold us for a few years, now we have several more on the way. There's The Seventh Son starring the amazing Jeff Bridges, the second film (after Revenge of the Witch) in the series based on the popular children's (children's? really?) 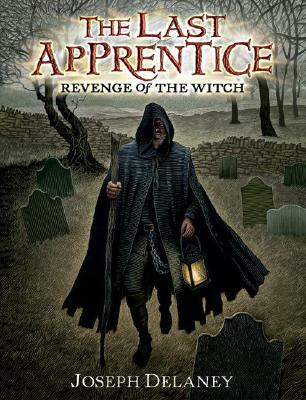 book series The Last Apprentice by Joseph Delaney, according to the Film Stage website. The film will also star Jennifer Lawrence, Oscar-nominated lead actress from Winter's Bone, as a witch. Film Stage says Bridges will play a mysterious character named Spook (and says the book's original "non-American title" was The Spook's Apprentice; apparently this word does not have a negative racist connotation in the UK) encountered by a young man named Tom Ward with paranormal abilities who is training to be an exorcist. USA Today announces a new series to premiere on the Discovery Channel, The Exorcist Files (get it? kinda like The X Files? ), that will follow real exorcists investigating supposed cases of demonic possession. Inside TV details the close involvement with the Vatican that will occur to create an authentic series, and the Huffington Post thinks Romania might be a good place for the show to do some filming. 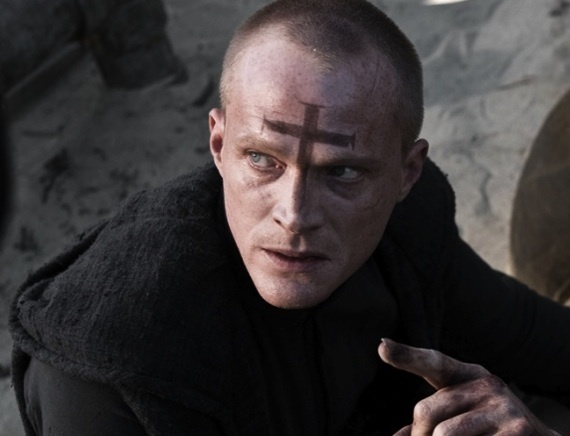 It may not have to do directly with exorcism, but the forthcoming sci-fi film Priest stars Paul Bettany as a man of the cloth in a post-apocalyptic world full of vampires who wields his special powers to fight evil. The film has a promising cast: New Zealand-born actor Karl Urban (The Lord of the Rings trilogy), veteran film actor Christopher Plummer, Madchen Amick (Twin Peaks), and Brad Dourif (Wormtongue in the Lord of the Rings film series). There are also some very exciting pagan films coming our way this spring...more on these very soon. Yes, Wormtounge was played by Brad Dourif, but Wormtounge is a character in Lord of The Rings, not Harry Potter. Wormtail is the character in Harry Potter and he was played by Timothy Spall. Ah, yes! I had just watched Harry Potter the day before and it was obviously in my mind! I will fix that, thank you! THE EAGLE: Oh, those bloodthirsty pagan Celts!